We have over 20 years’ experience providing luxury transportation services to corporate clients for meetings and conferences. Travel with us today in luxury and style. For over 20 years DC Chauffeur Drive has been providing luxury transportation services to our corporate clients as they travel to meetings and conferences. Throughout that time, our proficient and professional chauffeurs have provided an excellent & top-quality service. Our decades of experience really shine through in the high standards of our services and the high quality of our vehicle fleet. 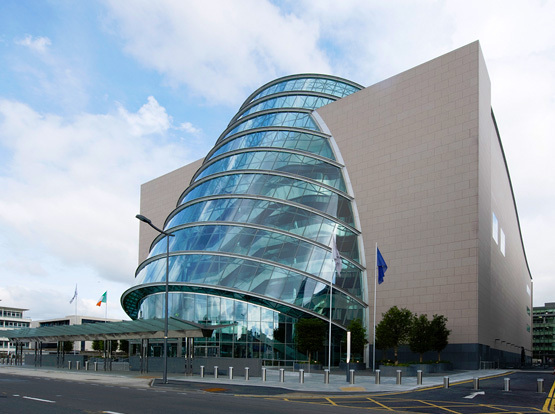 Our Dublin-based expert events team and chauffeurs are always available to assist you with every aspect of your conference travel requirements – from the early planning stages right through to site coordination. Taking conference attendees to and from their events on time and in comfort, luxury & security is our absolute priority. We offer the highest-quality services to cover all your conference travel requirements. Our expert chauffeurs drive luxury sedans/saloons, luxury people carriers, luxury mid-size coaches, luxury full-size coaches and luxury 4x4s so all your needs can be met – from individuals to large groups. Contact us today to discuss your conference travel requirements. We can handle all your travel needs, and indeed we offer transport management services should you wish to avail of them. Does your group have extra luggage to be transported? Not a problem – we also offer specialized luggage transportation services. Contact us to find out more.